Fall meets us in full saturation. This month, Virgo will be standing in opposition to Neptunian Pisces in three configurations: Venus, Mercury, and Mars. Neptune’s pursuits are temperamental and passionate. We are in the age of Pisces; Virgo is her complement and spouse sign. Virgo challenges us, after August’s bending eclipse, to stabilize ourselves in three determinants of wellness: communication (Mercury), love (Venus), and conflict (Mars). Virgo underscores process over goal. Her success is quiet and her focus authentic; she is probably aspected into anyone who still uses a flip phone and doesn’t open their laptop in lecture. A sky like this outlines a deliberateness carrying us into fall, guiding us to conscious action in honor of our dreams. Here is Virgo’s message: Miracles were so 2016. This is when we show up or ship out. 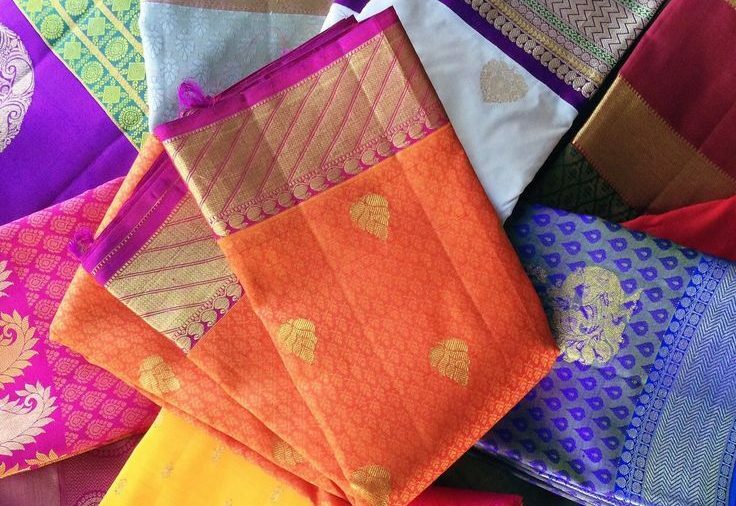 Around this time last year and this year, online media celebrated handlooms and textiles. 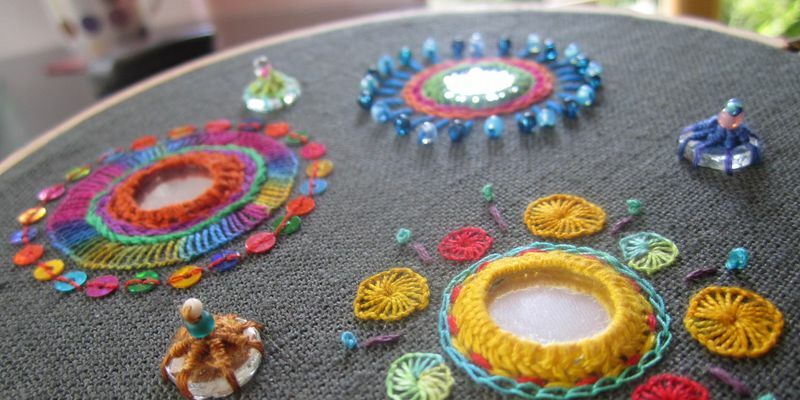 Textures, hues, dimensions, and thread counts carry history across cultures. A burgundy wants to guide your eye across its turns. Beading and bells alert you to someone coming down the stairs, while shadow work needs a constraint to show you it’s there. It is no wonder Virgo, who directs the details in every thing we see, rules textiles. A textile’s dialect reflects our inner and outer lives, memorializing our narratives into something we can wrap our skin in–the sky one morning, the way she looked at you three years ago, the stiff way you sat at a church pew in starched crinoline. Textile craftsmanship combines artistry and technical skill, producing a tangible thing we wear that connects us to the invisible hands of those who make it. Generation recently published textile maps of Pakistan, a long-practiced way of delineating the fashion industry’s territories. This month’s horoscopes match each sign to a textile and the centuries of stories behind them. In one square of fabric, autumn’s fuschia can advance through every thread’s dimers, anastamosing into a quaternary of chains, pleats, coils, and cubes. Fushcia’s full saturation requires the burial of the pigment’s residues from water. That’s why you can’t machine-wash phulkari, Aries. This vibrant, floral print captures your spirit, Aries. You are every tunnel of light zipping across a tiered highway. You might time travel this fall; it may seem like you’re ahead of your peers when it comes to your ideas and pursuits. You may find yourself motivated to gather ancient information and transform it for the better. You don’t need to explain the process to anyone. Just do it. You are the first sign–originality is your forté. It’s not a textile but a material that combines two things often conflated in mainstream minds: comfort and luxury. 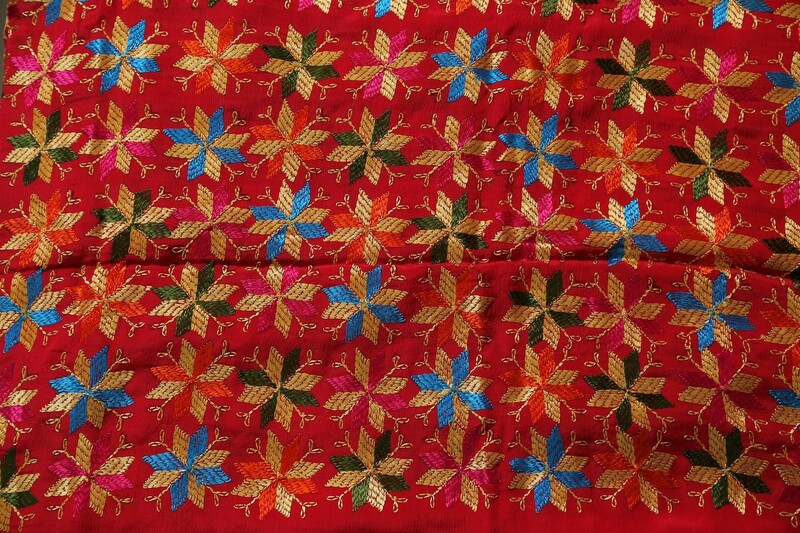 This fabric is made from goats who roam the Kashmiri slopes. It feels the best on everyone’s skin; its only rival is silk–saying that is probably contentious but we all know owning anything cashmere is like owning a Heart of the Ocean necklace. 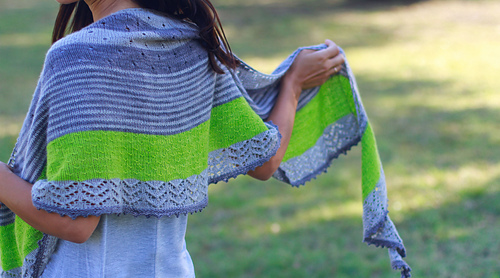 This fall, you can furrow into the nest you’ve been weaving all year. Comfort and luxury awaits. No need to travel too far. 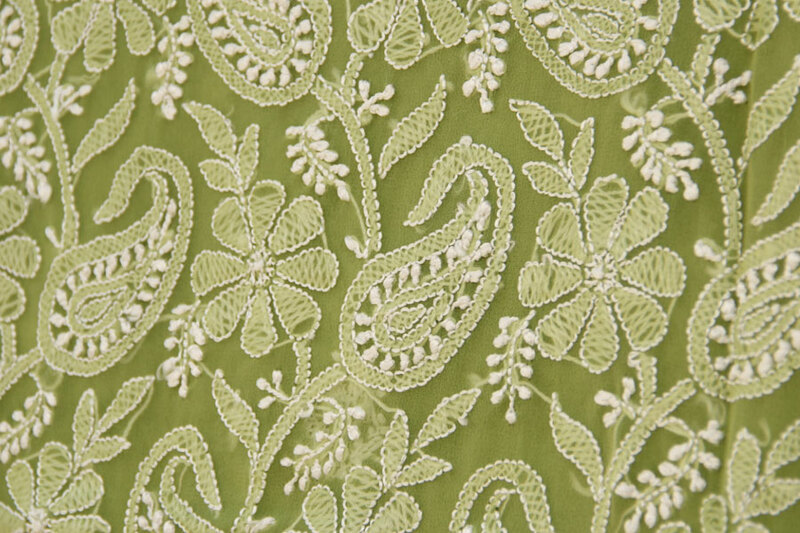 This is a sweetly nibbed, delicate textile. It often appears with netting and translucency. Pretty magical, just like you. You’re not sure what all this fuss is about shorter days because playtime is always in season. You’re like a baby in front of a camera, an elephant in a water hole, a slinky coming down the stairs, a top spinning, a ballerina in pirouette. While Aries lights the highway, you are the lantern lights strung in house windows. Kunbi is an ancient check-print from Goa that is very hard to find and starting to see small revival in India’s fashion market. 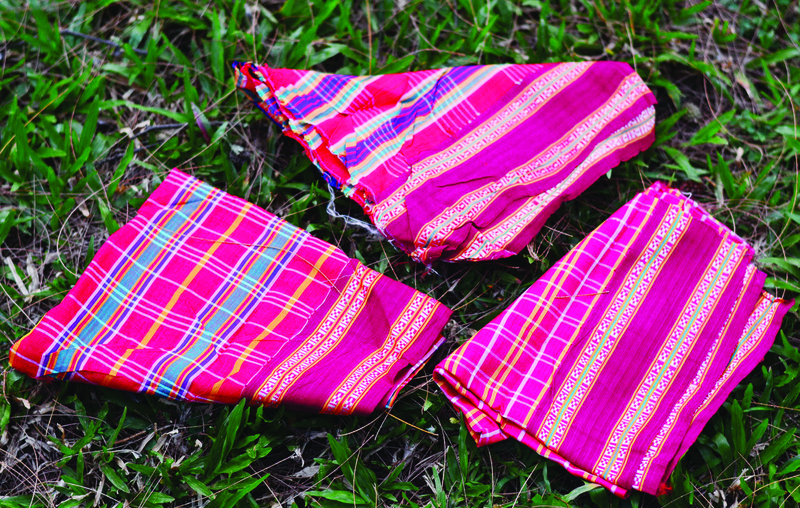 Traditionally, the design is in red and white, worn just above the ankles with a knot on the shoulder. So, it’s pretty sensible and versatile. You might say its return to the market is punk rock. It has a rare flair, one that not everyone has the capacity to sense or know. Are you even surprised? Shisha means mirror. Whether it’s embedded in kutch embroidery (see Sagittarius) or dangling on a sleeve, a shisha brocade is a favorite for all occasions. Leo rules mirrors–this is where your reputation for vanity comes from. But that is only one part of it. A Leo has enormous capacity for self-reflection and realizing all the little truths in the big Truths. It’s been like that all year, really, and will continue until the end. Pashmina is a luxury fabric, a fine type of cashmere wool. Taurus rules cashmere, and Virgo rules details and refinement. People love to name-drop ownership of a pashmina shawl all the time; there’s a decorum and pride to this fabric. If fabrics were book genres, pashmina would be classic literature. Wear your splendor on your sleeve this month, Virgo. You are an emblem of all that we have to cherish in the world. It all lives in you. 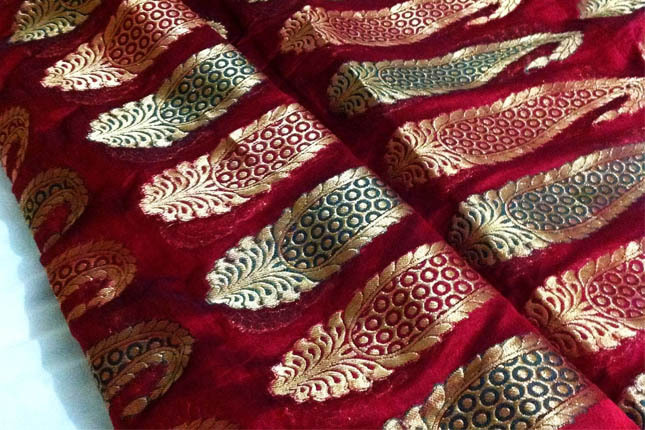 This is the most popular silk because it is comfortable, soft, and beautiful. It will never go out of style. It’s high in demand–everyone wants it, but not everyone can have it. Remember that. People might be clamoring for your attention, Libra, and while you may love to give it out, preserve your energy this month. It’s difficult to dull silk unless you don’t take care of it. You are an ivory lighthouse; keep the graffito away. Your textile is the most tactile. It is noticeable whether it comes in the form of a Swarovski crystal embellishment or from a YMCA youth camp. A Scorpio is a Scorpio is a Scorpio. A Scorpio controls a room’s energy the millisecond they step into it. You might want to check in this month. How do you want to show up? Your passion can hardly be matched but you can decide how your audience may best handle it. 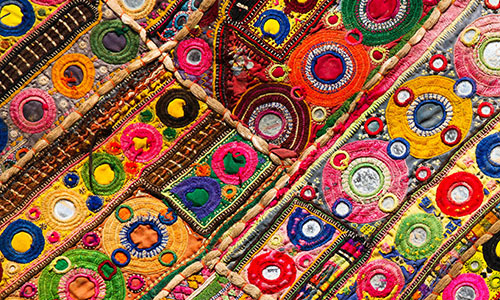 Here is the funkiest, funnest, most bohemian textile. Your motto may go something like, Life is too short for… Autumn is no exception to that rule. Life is too short for stiff introductions, barren hallways, and toy books on a coffee table. Life is probably too short for a coffee table. Put a travel box there instead and load it up with home essentials. Kick up your feet and make a mess. You are important and you know it. That’s why chanderi is your textile. Chanderi is deep and resolute. It is beautiful in every sense of the word. It is not for a young soul. It glows in a dark city. It’s a spellbook on your body. That’s what you’ll be casting everywhere, but you might not even know it. All you’ll really have to do this month is focus on yourself and walk down a familiar street. People will know there’s something powerful inside. 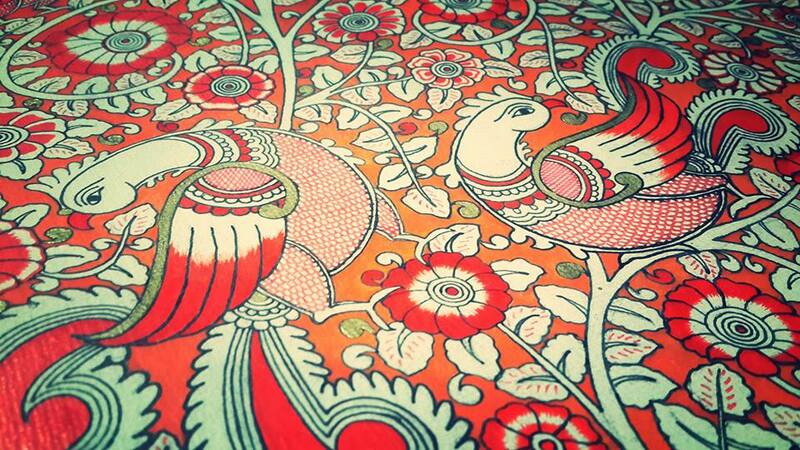 Kalamkari is pen-art reminiscent of Japanese woodblock prints. It is a map for your mind. Herein lies story, symbolism, mythology, poetry, a lover’s initials. This month, trust your gut when an omen reaches you–on a building, the metro, a Freudian slip, papers falling. You might introvert this month, Aquarius, but you’ll never be alone so long as you remain present. This kind of wisdom connects humans to stars; even the explosive, spiraling process of a galaxy holds intention. This is chikankari’s cousin (see Gemini). It is a delicate film of thread used to create a shadow or shading effect. Here is your reminder that it is perfectly OK to be sensitive, Pisces. Now’s a good time to train yourself to respect your sensitivity in a world that doesn’t necessarily cater to that. There’s a reason why so many people love shadow work on chikankar–it’s so sweet, but not everyone can care for it. It tears on table corners.